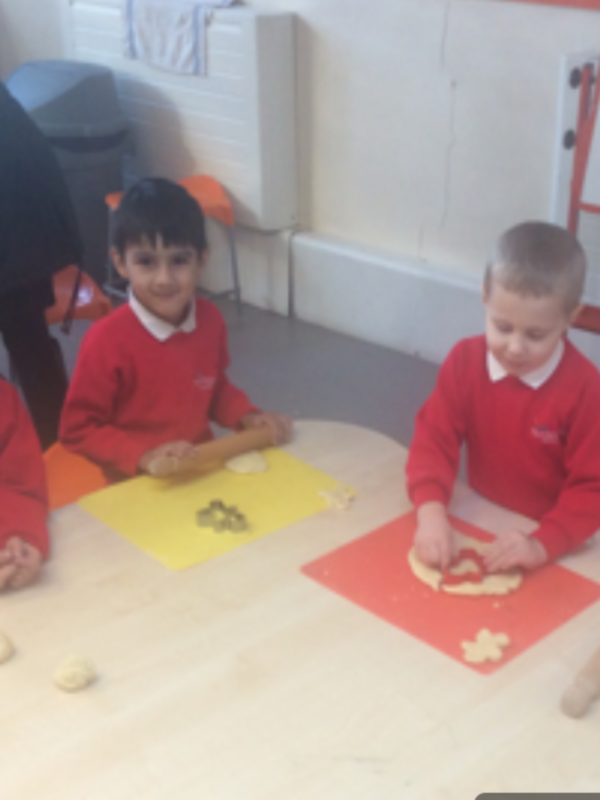 Reception Meet the School Cook! 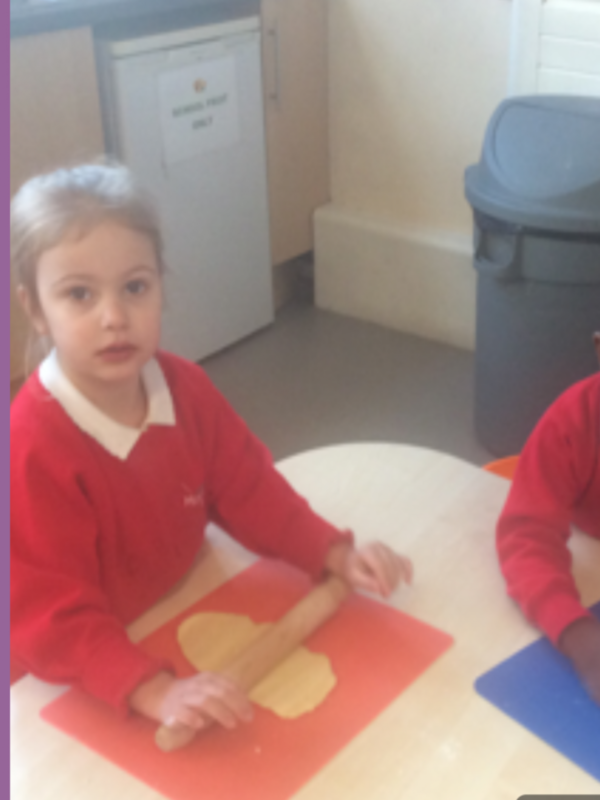 Last week, the children in reception went to the kitchen to meet the school cook where she told us about her busy role within the school. 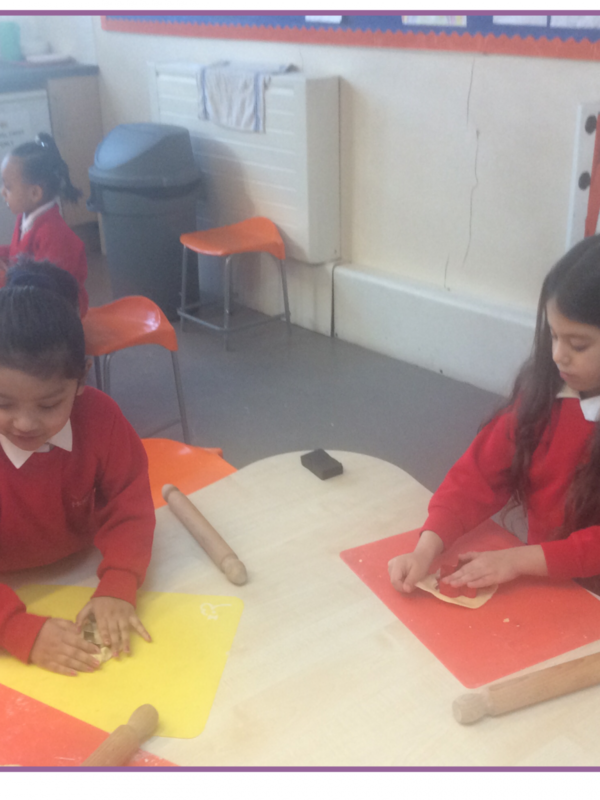 She told us that she gets to school at 6am every morning to cook for approximately 500 children EVERY DAY! 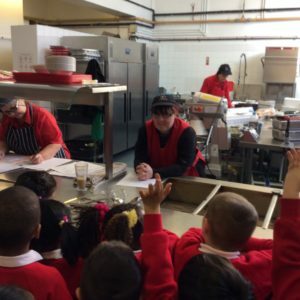 Wow, what a busy job. 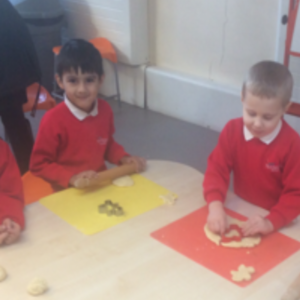 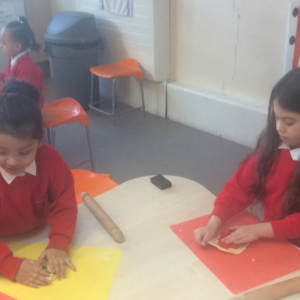 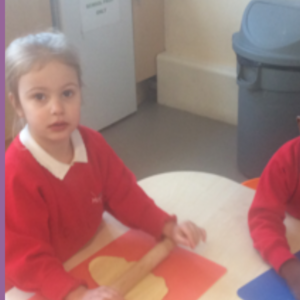 The visit to the kitchen, and reading the book ‘Biscuit Bear’ then inspired the children to go to the kitchen and bake their own biscuit bears.